CUUPS (Covenant of Unitarian Universalist Pagans) was chartered by the Unitarian Universalist Association at the General Assembly in 1987. CUUPS Chapters are connected to existing UU congregations. 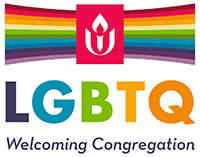 For more information, visit the CUUPS website and the UUA website. A CUUPS chapter was founded at Sunnyhill in 2003. Is a CUUPs chapter connected to the Unitarian Universalist Church of the South Hills. Leaders and members are UUs who are dedicated to the principles of UU and practice Pagan spirituality. Shares Pagan traditions and liturgies with Members and Friends of Sunnyhill as well as visitors. Includes a time for discussion and education in every ritual. Works with the minister to integrate Earth-based spirituality into Sunday services. Ten rituals are held at Sunnyhill throughout the calendar year. One Sunday morning each month, Spiritways CUUPS offers a class about Pagan spirituality. Find more information about upcoming rituals and events in the Sunnyhill calendar. Imbolc Gaelic festival marking the beginning of spring. Dark Moon Ritual to cast out negative feelings and prepare for the new moon. Ostara Vernal or spring equinox, a time to celebrate Spring’s return! Beltane Family-friendly Gaelic May Day festival. Litha Celebration of the summer solstice, the longest day of the year, when light is abundant. Lammas The time to honor the gods of the grain harvests. Mabon Holiday of the autumnal equinox, a ritual of thanksgiving for the fruits of the earth. Full Moon Time to celebrate the reappearance of the new moon, an affirmation that life will continue. Samhain Celebration of the lives of those who have passed on, paying respect to ancestors, family members, and other loved ones who have died. Yule Pagan religious festival later absorbed into and equated with the Christian festival of Christmas. Note for parents: Children 12 and older typically do well with the pace of rituals and have patience for the quiet or meditative segments. We do ask that children between the ages of 12 and 16 be accompanied by a parent should there be questions about different elements of a ritual. At present, we do not have childcare available for children under the age of 12. For specific information on the Spiritways CUUPs group, please send an email to spiritways@gmail.com.